Over the last month, we’ve been working hard on several new features and updates that many of you have requested. Today we’re excited to announce our new Lightbox gallery themes, more Album layout options, and several other enhancements. Here’s all that’s new in Envira Gallery. As requested by many of you, we’ve added new lightbox gallery templates. We’re excited to announce our new Base Dark and Base Light themes are ready for you to use. Now you can customize the look of your gallery, and match the style to the rest of your website for a more professional appearance. It’s now easier than ever to customize the look of your Albums. 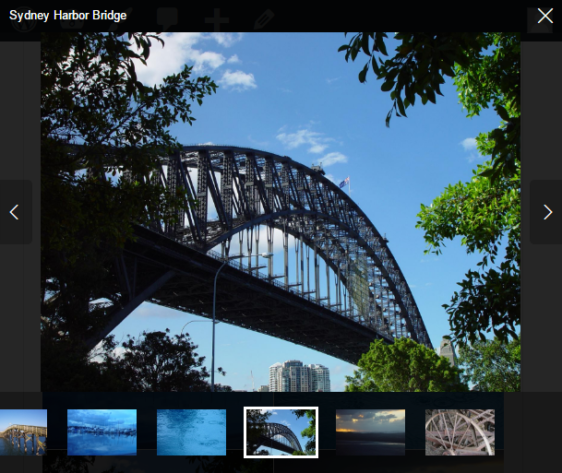 We’ve enabled Album Layouts, so you can use the same layouts you use with your Galleries. Also, we’ve enabled a new Template Selection feature. 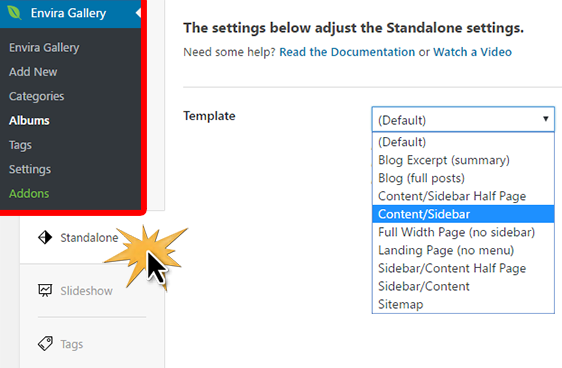 If your WordPress theme has custom page templates, you can now choose which template to use for each album. When creating or editing your album, just click on the Standalone tab and select the page template you’d like to use. You can also now enable or disable the lightbox feature for individual galleries, instead of applying it to the whole album at once. Our Standalone and Supersize features are no longer separate addons. Instead, we’ve decided to include these popular features in the core Envira plugin. Now, everyone can easily display full size images or create independent galleries without having to install an extra addon. Our goal with Envira Gallery is to make it as easy as possible to create beautiful responsive galleries for your site. To that end, we’re always working on improvements to the user interface and experience. In our latest update, we’ve improved the user interface for selecting galleries, and made several enhancements to various addons based on your feedback. If you ever have an idea for how to make Envira Gallery easier to use, reach out and let us know! We’re always listening. New Importer Framework so we can add options to import from Flickr and other third-party services. We thank you for your support and feedback in making Envira the best WordPress gallery plugin.